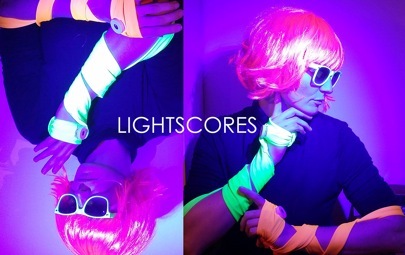 LIGHTSCORES is a light sensitive interactive wearable, translating light into sound. Nominated for the “AXA PPP Health Tech &You Award” and currently exhibited at the Design Museum London, Austrian studio ALLES oder Licht from Vienna is proud to launch its prototype as a “DJ Tool” at the Austrian Design Party 2015 (April 16, 7 – 9 pm) in Milan for the very first time. This project is funded by AWS ImpulsXS. *with kind support of Ken Hayakawa who provided the sound material for the live performance of LIGHTSCORES.